« A Pirate Adventure~ Part 9 The GRAND FINALE! Wow, so super duper cool! 1. A one piece swim suit for My AG dolls-they did this before, and I think they should do it again! 3. Felicity and Elizabeth’s WHOLE collection-bring it back! 4. A kitchen set-stove & oven, refrigerator, sink-it’d all be great! 5. Western Horse-bring it back! 2. A leotard for Ivy, and much more! She definitely needs more stuff! 4. A TV-bring back the old one, or a totally better one! 5. A mandolin, a dobro, and a banjo!! Oh, definitely! I want so much more from her collection! A homeschool GOTY would be awesome! 1. a bunk bed-like the ones they made before! 3. Maybe a basketball hoop or a soccer goal! 4. A chef set for My AG- Bakery bread, pans, lots of stuff! 7. A closet! I think that would be good-they only sell a storage tower and a really expensive doll storage thing. So it would be good. 11. Bitty Bear-bring it back! 12. Board games-Clue, Monopoly, Scrabble, anything! What was your favorite? Also, I think you should pick your favs sometimes of all the ideas everyone commented, and then us the viewers would vote on those! 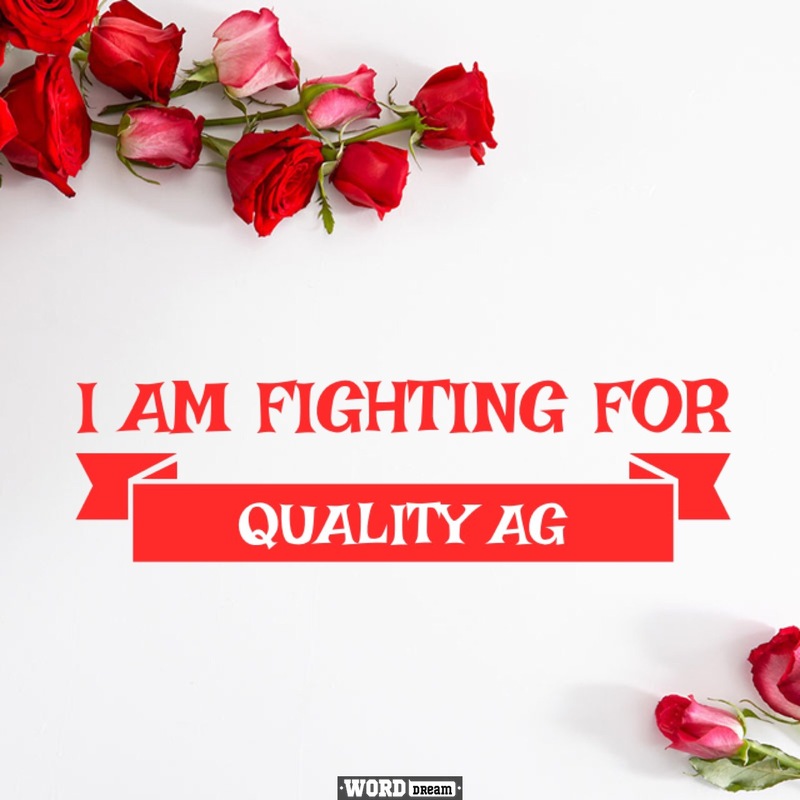 🙂 Oh, and another thing, I wish that AG stuff would be better quality and not made in China! I think that AG is good quality. What’s something you have of theirs that isn’t good? Yes!!! AG make mooorreee HC movies!! The ones that they made are better than the GOTY movies they made. I wish they would make red haired bitty twins too! 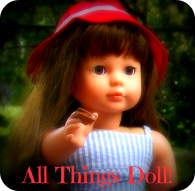 And I wish they would sell things separately, like just a tee shirt, or just some skinny jeans (because I’m really tired of my dolls just wearing Julie’s jeans). They should also make a guinea pig with a cage, kind of like McKenna’s hamster. I also had an idea for a historical doll, a pilgrim. It would be cool to have a doll from that long ago. They should also make a hockey outfit and some other kind of instrument (a tuba or saxophone would be cool!). I also think it would be nice if they made bunk beds, kind of like the triple camping bunk beds that they used to have. Aw, I like the guinea pig idea! So cute! Yes, triple bunk beds that can fit 2 dolls on each bunk would be nice! 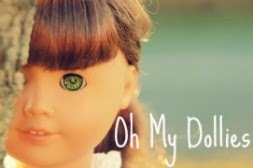 hmm lets see… maybe EVERY SINGLE american girl item retired? And what Liz and hope said on Q&A. Ooh and also I agree what Christian Homeschooler said! We should ALL write them a letter LOL! This is not something AG can make but what was the WORST item you bought from AG? I bought the doll party set (when it was on sale) and the table broke about 3 weeks after! But AG is pretty good at making stuff! oh my goodness! That is terrible! Did you write to them? LOL! I’m glad you found it funny! When did you get it? 2. They should make a sewing machine and maybe some crochet or knitting stuff for the lovers of that stuff! 🙂 I would like a sewing machine for my dolls, I think. 4. And maybe they should make 18″ doll houses too. Like, modern ones for the My AG dolls, special GOTY ones, and special ones for each of the HC’s. Like something that looks like Kit’s house. I am not sure how they would do it, but whatever! #2 & #4 of what? And Samantha’s would be Victorian!! *GASP* Oh, my gosh!! That would be SOO BEAUTIFUL!! I wish they would bring back Felicity and her collection! I live her! I got her last fall off of ebay…best money spent! Hahaha! I want to get Rebecca! I think she is cute too! I want a Chinese or African american doll with freckles. 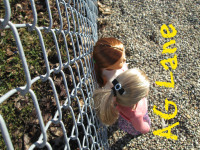 Also, more options for Bitty twins, and a homeschooling Alaskan GOTY! I know! I have been wanting one forever! They have done most all of the major states, except for Alaska! Ahem, AG, did you forget your history? Alaska is part of AMERICA!!! 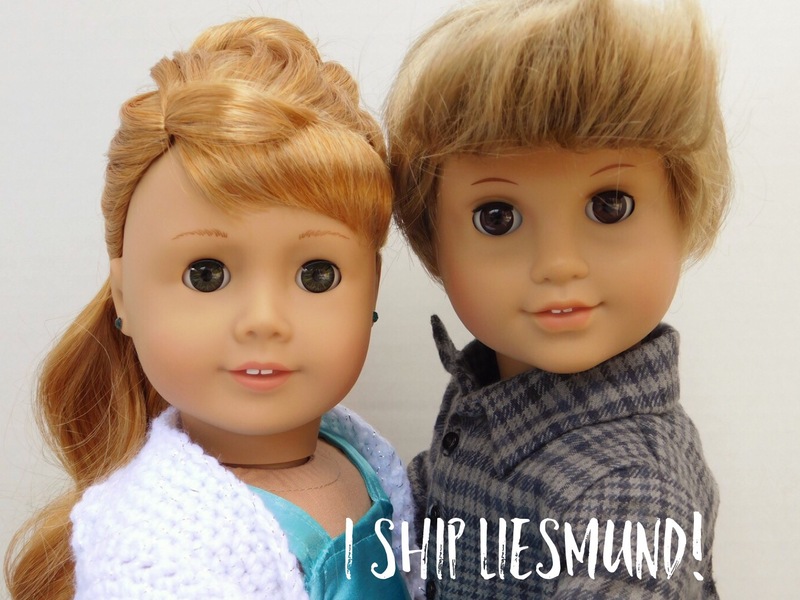 And they really need to do a HC doll. Yay! I have a few ideas! 1.Bring back McKenna and all of the other GOTY’s so they and their collections to be available forever. 4.Bring out a magazine which has doll crafts and fun things. The Bow and Arrow Set would be SO cool! Wow this will be fun! 1: First I totally agree on what you said about the BTs. They have a redhead BB, why not a readhead BT? 2: I think AG should make a doll from Alaska. They have already made a doll from Hawaii, so why not Alaska? If it was a HC, then I think it would be cool to have an Eskimo doll, but if it was a GOTY, then I’d want her to have an Eskimo heritage, I think that would be really cool! 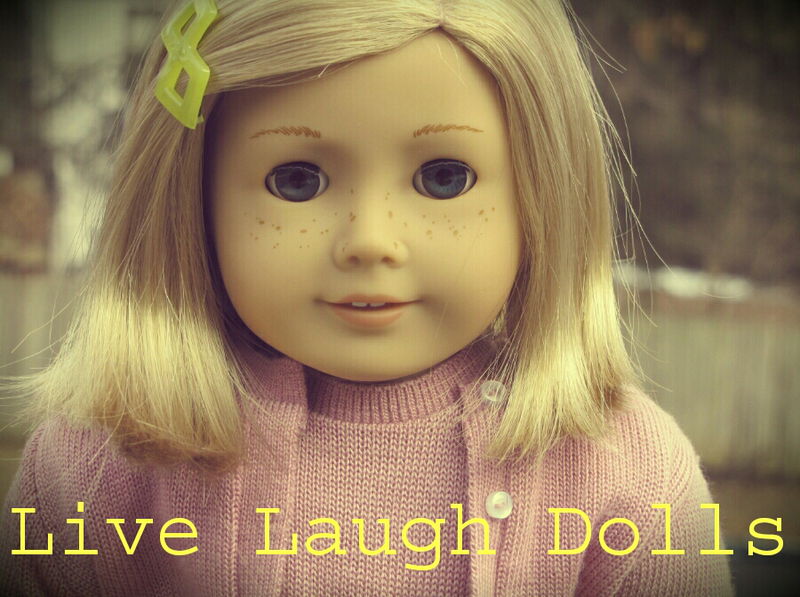 3: I also think AG should make a Canadian doll. I didn’t realize until I went to Canada how similar our countries were. They have Canadian versions of American books, songs, and stores. So I think a Canadian doll would be awesome! 4: Maybe some colonial outfits. I didn’t get anything from Lissie’s collection, so I think it would be cool if they added similar dresses, and put them in the Halloween section. 5: They need to revamp all of the retired HC’s and GOTY’s to give girls who didn’t get the dolls before, or weren’t into AG when those dolls were around, a chance to get the dolls. 6: And finally some tack stuff. All the bridles, lead ropes, and halters come with the horses, or with the Stables and Supplies. So I think they should make some tack supplies. Ooooh, tack stuff!! That’s a great idea! Exactly! They have a redhead of everything else but BTs! 1. Julie’s collection is sorely lacking. Ivy needs more clothes, like pjs, the pink outfit from the paper dolls, a leotard ans different shoes. Also Julie needs a school set (not just the lunch box), a console TV set complete w/ antennas, and a dial that rotates her favorite shows on a spool inside it, and bring back her table. BTW…whatever happened to her movie??? 3) Lower their prices. 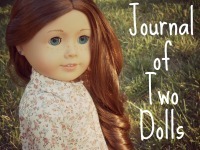 It really doesn’t cost that much to make an AG doll, since they use standard face molds. But sadly, we’re not just paying for the dolls, we’re paying for the whole AG experience each time we buy one. You are so right! What DID happen to her movie? Here are some more ideas!! 1. A flat screen desktop with a CPU, keyboard, and mouse. The ones they had before were really unrealistic, so I’d want it to be realistic looking. A laptop would be cool too, since the one they sold was Lanie’s. I think Lindsey had one, too. 2. A Christmas tree! They sold one before, and I really want it. But they should make one again! 4. More books for dolls. I would love if they made the Little House series. 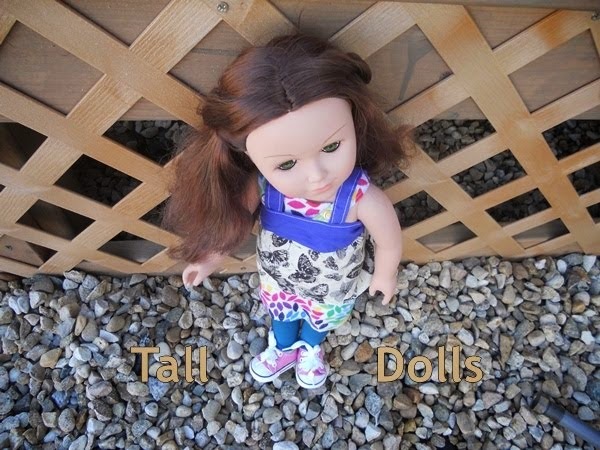 They would probably make a bunch of junky books for dolls, but they should do the classics! 5. A counter with stools. Wouldn’t that be great for a restaurant? I really like the computer idea! YES!! A Christmas tree would be so adorable!! Oooooh!! That’s a great idea!! AAAAH!! THAT IS SOOO ADORABLE!! And I can’t believe it’s only $14!! That’s a GREAT price!! Oh wow! How realistic is it, compared to a regular Western saddle? I want AG to add some more to Kaya’s collection! And make some different looking outfits! They all look way too similar! They need a HC that’s a pioneer, so that they can make a covered wagon. Yeah, I think it was called her Jingle outfit or something like that. Yes she would! OH MY GOSH!! THAT IS SO CUTE!! I have a question, though. How did you find a link that leads to the AG Store showing that retired dress? LOL! Yeah, it is! 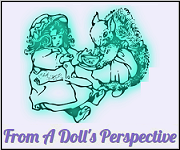 But, if you think about it, it must be hard for them to think of how the dolls should be. You know what I mean? Yeah, that’s true, there are only so many sports and hobbies in the world, and if I liked the doll then I could just change her hobby, I do that a lot, since I don’t always like the sport they play. Yeah, it would be so fun for photostories! Oh, my gosh!!! A LOG CABIN?!?!?!? YES, YES, YES!!! LOLOLOL! 😛 And it could have a rocking chair, cabinets, Uuuuummm… What else?!?! LOL! Okay, concentrate… Oh Oh! I got it! As they stopped to water the horses, Pa said that this is where they’d camp for the night. When everyone was in bed, Julie couldn’t sleep. She tossed and turned, and finally got some water from the creek. She then saw a fire, and a tall pole in the distance. Instead of telling Pa, her curiosity got the better of her, and she walked towards the fire. When she came across the fire, she saw many people gathered around the fire, in deersking outfits, with a long carved poll in the back. She soon realized that she found an indian campsite! Then someone grabbed her shoulder. She looked back to find an indian girl. She struggled, but the girl held her fast. “What do you want from me? !” Julie asked. “Friend.” The girl whispered. Julie then thought that the girl was friendly. “What you doing here?” She asked. “I was asking about your carved pole?” Julie said catiously. The girl looked at the pole and then explained that it was called “Gyaa ‘aang” in Julie’s tongue, totem pole. She learned that it was meant to tell stories around the campfire. The girls name was Brown Deer. Julie thinking Brown Deer was an intresting name, introduced herself, but Brown Deer though just the same about her name. Julie returned to bed, wiser, and happier, for she had made a new friend, who when Pa built a cabin for Julie and her family, visited often. Yeah, that all sounds too hard. LOL! Hi Jaclynn!! 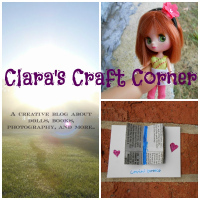 I’m new here on the blog, (new time commenter, old time reader), and I just thought of something! So you know how when they make the historical mini dolls, they include a mini version of that doll’s book? Well, I think they should make whole mini sets of the doll’s books. That way, we won’t have to make our own! I also think that AG should focus more on the HCs. I think this because they are the dolls who started AG in the first place! If the rumor is true that they are making a 50’s doll, then I will hope that AG will focus more on her and the other HC than they do on the MAGs. I’m with you on the Irish Bitty Twins. As I come from Irish heritage (my mom’s side,) I think they would be SOOOO cute! I also, for some reason, have an obsession for redhead dolls. If they had freckles too, they would be even cuter! Sorry for typing so much! Oh, yes! That would be so great if they did that! I want curly redheaded Bitty Twins too! I wish that AG would make a pilgrim BeforNever. She would have long brunette hair that comes styled in a bun at the back of her head, light skin, faint (and I’m talking VERY faint) freckles. She would come in a ankle-length red dress, a white frilly apron, a white cap with a red ribbon, and a petticoat, bloomers, and knee-high black boots. She would be named Relinda Mackentosh, and have adventures in the new land. Maybe I’ll just make Relinda my first custom doll! 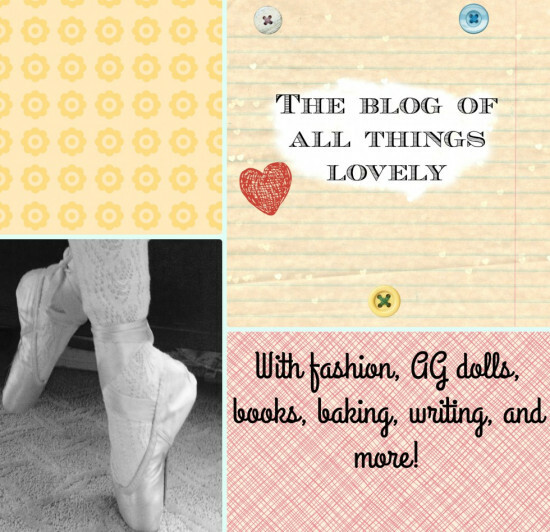 I bet I could find an old AG doll and get a wig, then sew her 1600’s outfit myself!